Like Joey on Friends, I LOVE sandwiches. 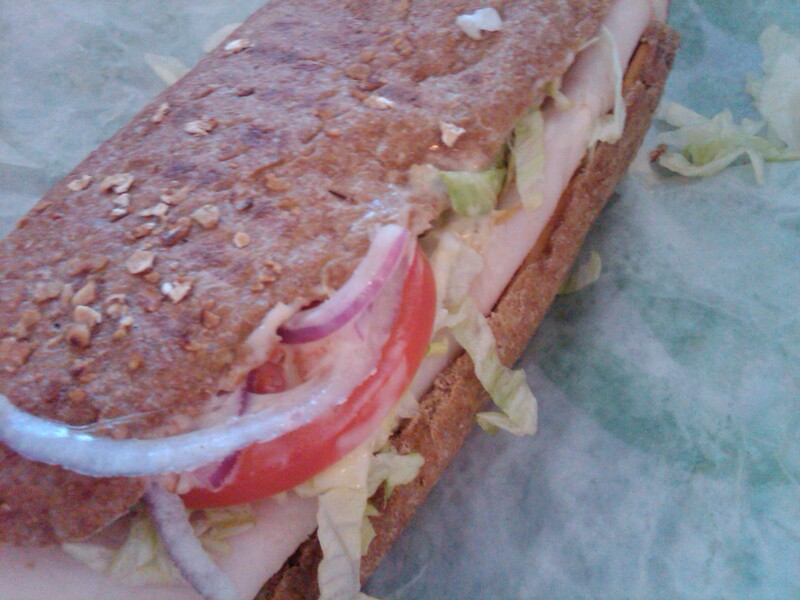 I love Goodcents, Jimmy John’s, Planet Sub (but have a strong DISLIKE for Subway). I love those long sandwiches people make at Super Bowl parties. I love the black angus roast beef at Walmart (although I refuse to go there anymore because the meat department people are awful). If it’s between two slices of bread, I’m excited. So I was amped (maybe to the point it was going to be a disappointment) to have Blimpie back within my grasps. Bwahahaha! Reality check. It wasn’t good. The location itself was nice, and the store seemed clean, but the service was abysmal. The employees had an OK grasp on what meats and cheeses were on sandwiches, but they didn’t know standard dress (as it’s stated on the menu) for a specific sandwich. And they were out of almost every single kind of bread. I finally said, “OK, what bread DO you have?” FFS. The way they operate they should simply list the bread choices, meats, cheeses, and dressing items. It would be a lot easier than reading the menu, deciding what you want and the employees not knowing what you’re talking about. My sandwich was OK. I got a beef, turkey and cheddar panini (on some other non-panini bread). My understanding of a panini is it’s warmed, but she looked at me like I was crazy when she started to wrap it up and I said, “Isn’t it supposed to be warmed?” She put it on the grill, but all it did was sorta warm the bread. The meat was still cold and the cheese wasn’t melted. Will I go back? Maybe. The sandwich wasn’t disgusting or anything. It was just frustrating compared to the Blimpie experiences of days yon. Um, yes! That’s the whole purpose of panini.. It’s a hot pressed sandwich! But, I have had cold meat with semi melted cheese and hot bread and it seemed to taste like I wanted it to taste (not sure where I had this)? I’ve never had blimpie, but i wouldn’t be opposed to trying it sometime. Unless your next review of it is still a fail, then i definitely won’t waste my time! It really didn’t taste bad. Just more frustrated that they were out of most of their bread, didn’t know what was on sandwiches, etc. 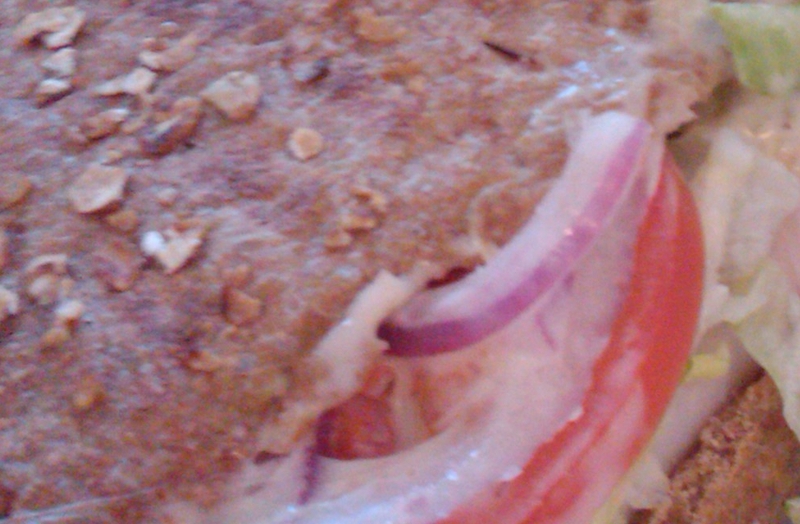 The sandwich itself was probably a B, which is good considering it could have been awful!